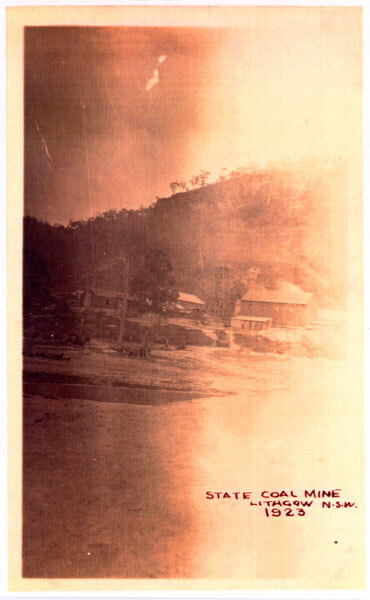 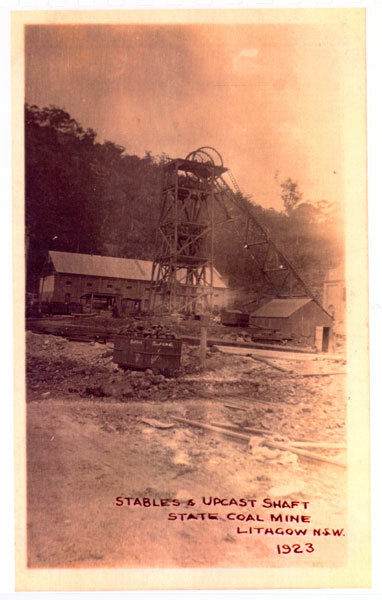 Bede Wilson worked at the State Mine as a skip repairer and has donated his photographic collection to State Mine. Here is a selection if images from his collection of photos show interesting views of surface development at the State Mine from 1921 to 1929. 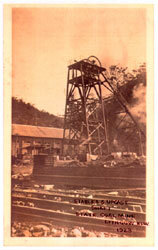 The image that has become the State Mine masthead. A view taken in 1929 of the Railway Coal Mine and Power House. 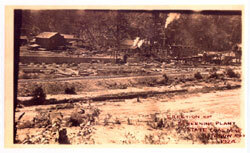 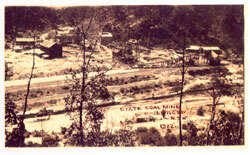 A view of the early stages of construction of the State Coal Mine, Lithgow NSW taken in 1921. 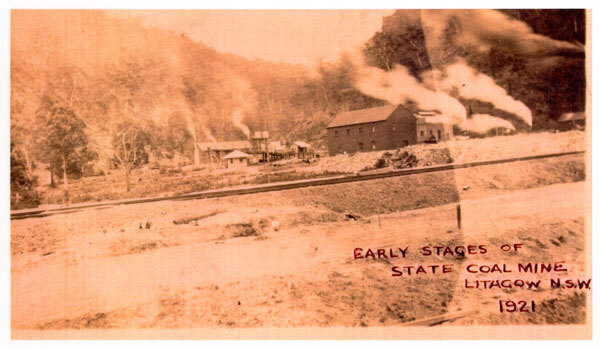 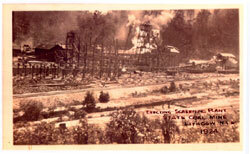 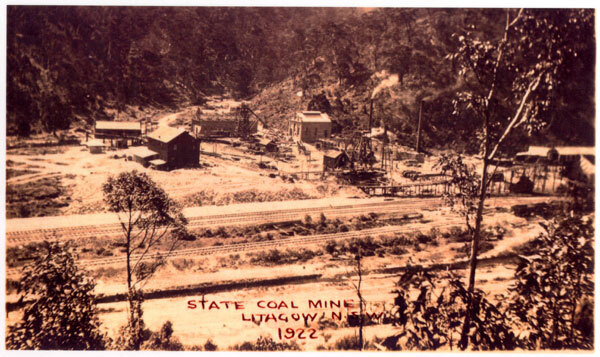 Two early views of State Mine taken in 1922. 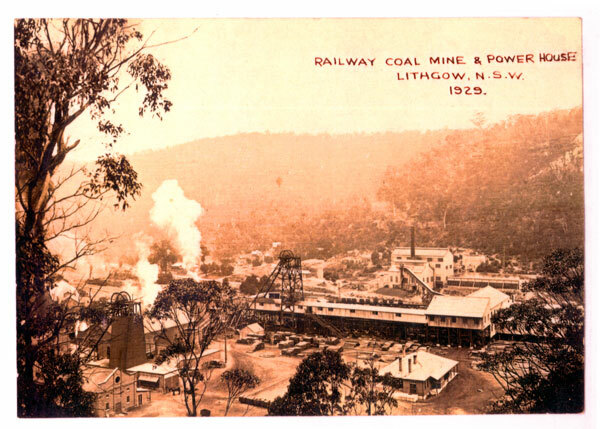 Some views of the Stables and Upcast Shaft, State Coal Mine, Lithgow, NSW 1923. 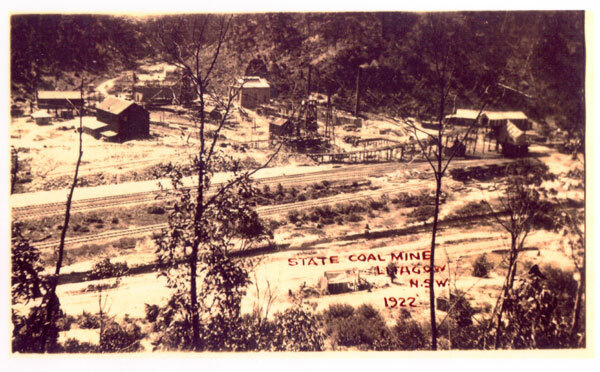 Looking towards the mine site in 1923. 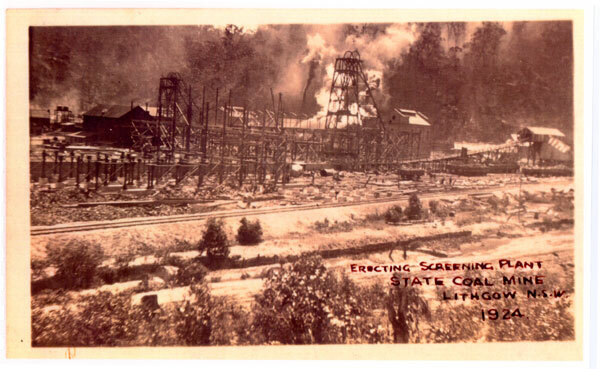 Two images showing the erection of the Screening Plant in 1924. Part 2 of this collection will be displayed here at a future date.